Home MHH TV Rapper 6ix9ine Hospitalized After Being Kidnapped and Robbed ! Rapper 6ix9ine Hospitalized After Being Kidnapped and Robbed ! 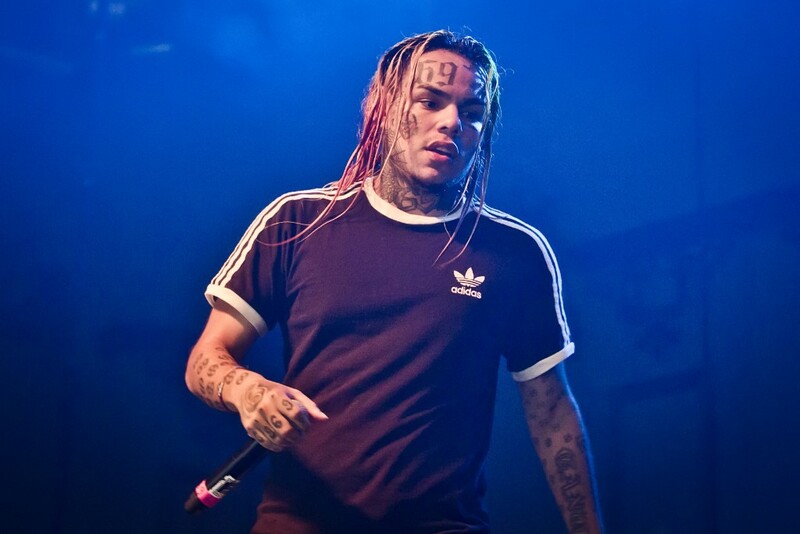 New York Rapper 6ix9ine has been challenging everything and everyone in the game for months and seemed to get away with it everytime. Everyone was told that this time he had made the wrong people angry, but everything remained without consequences. Until today, because TMZ reports that the rapper from New York is hospitalized. Sources report that he was working on a video clip, after which he drove home around 4 o’clock in the night. When he got home a car would have blocked his driveway, after which three armed men went to the rapper. They knocked him out with a weapon and according to the same sources, Tekashi was then awake in the backseat of the car and forced to give up his jewels and cash. When he arrived at his house, two men went inside where they got cash for about 750 thousand dollars and between 15 and 20 thousand dollars. The third suspect stayed with 6ix9ine and then drove them away with the rapper in the back seat. 6ix9ine would have come away and sought help from a passerby calling the emergency services. Eventually he would be taken to the hospital with an ambulance to be helped by his injuries.